SMY’s new Portable Mr. Q kit comes with 40W MR.Q MOD of firmware up-gradable and a 2ml tank of bottom airflow. You can adjust the output wattage from 1w to 40w, temperature 200℉-600℉ with coil value from0.1-3 ohms. Always stressing on quality first, SMY’s new Mr. Q kit comes on the market. 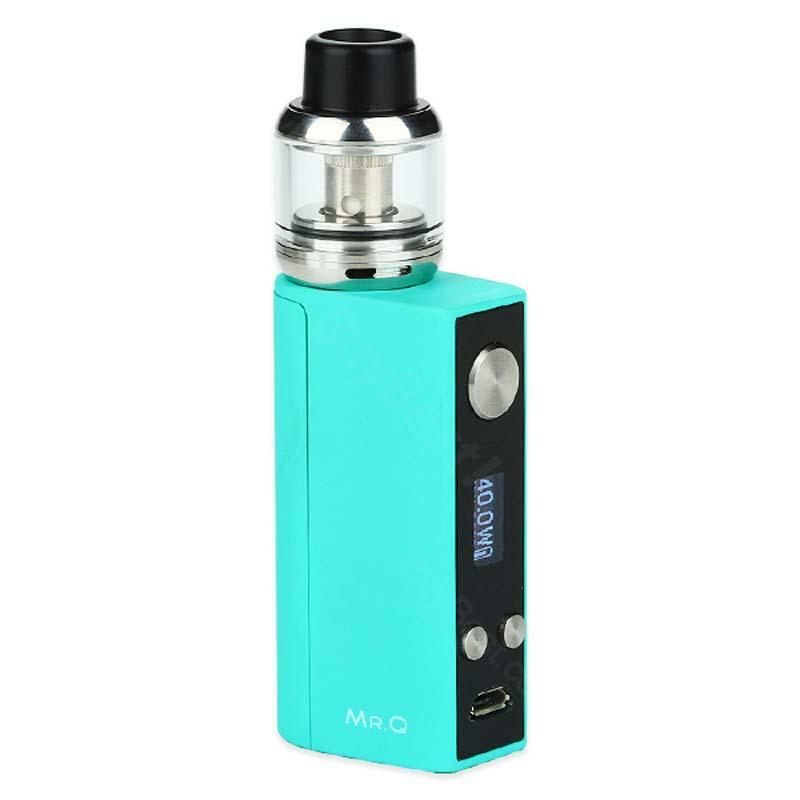 It comes with 40W MR.Q MOD featured with firmware up-gradable and a 2ml tank of bottom airflow. MR.Q 40W TC MOD is powered by single replaceable 18650 battery and multiple protections, namely low-resistance protection, short-circuit protection, USB pass-through protection, and other protections. You can adjust the output wattage from 1w to 40w, temperature 200℉-600℉ with coil value from0.1-3 ohms. Made of Zinc Alloy material in 3 colors, it presents quality appearance and awesome hand feeling. • It doesn't come with a 18350 battery. You can buy it separately. Leichte Handhabung, man kann direkt Starten, da die Beschreibung sehr gut ist. Ich bin sehr Zufrieden mit SMY MR.Q. SMY MR.Q 40W TC Starter Kit has a perfect size for comfortable hand feel.